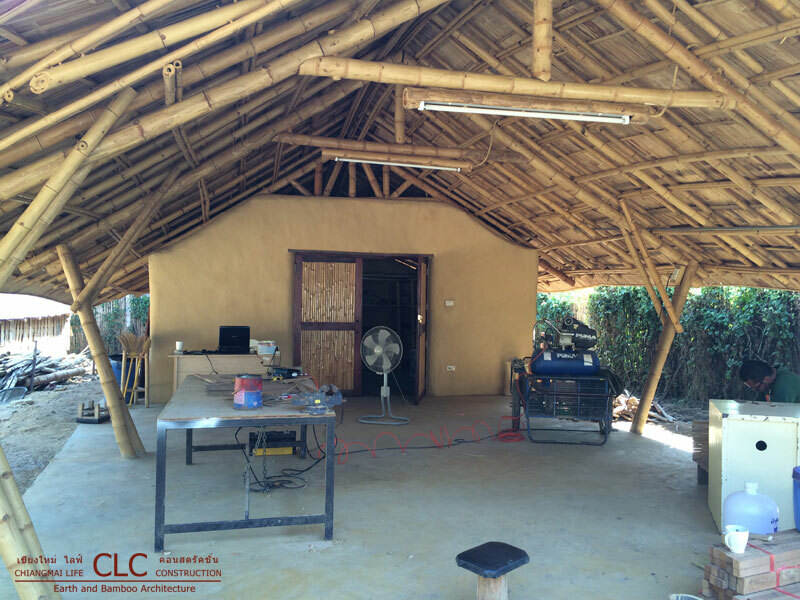 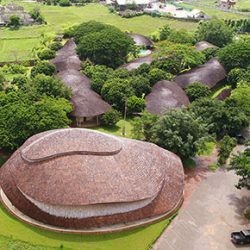 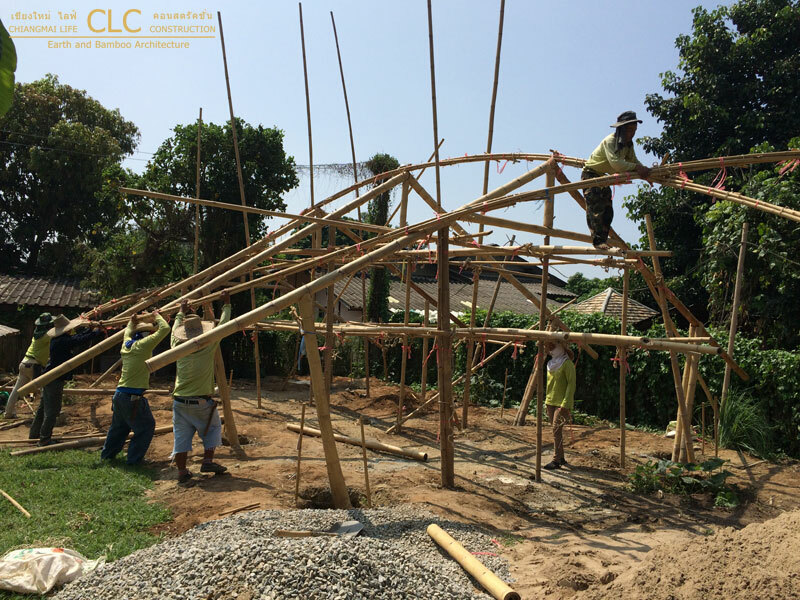 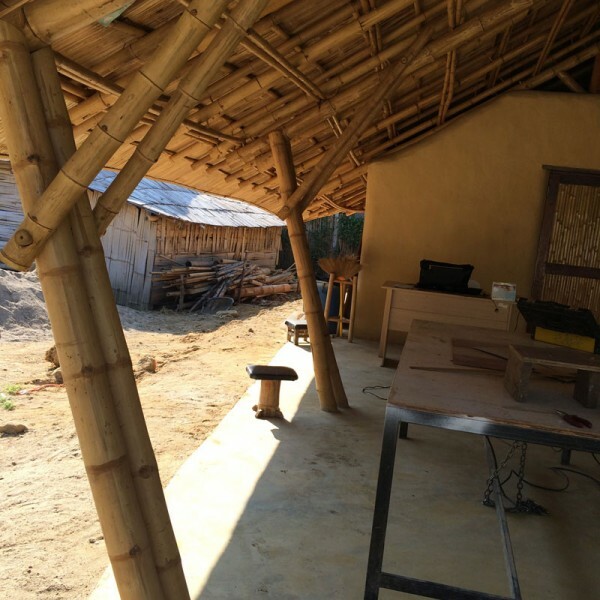 This workshop represents what we call modern and functional earth and bamboo architecture. 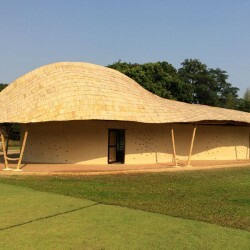 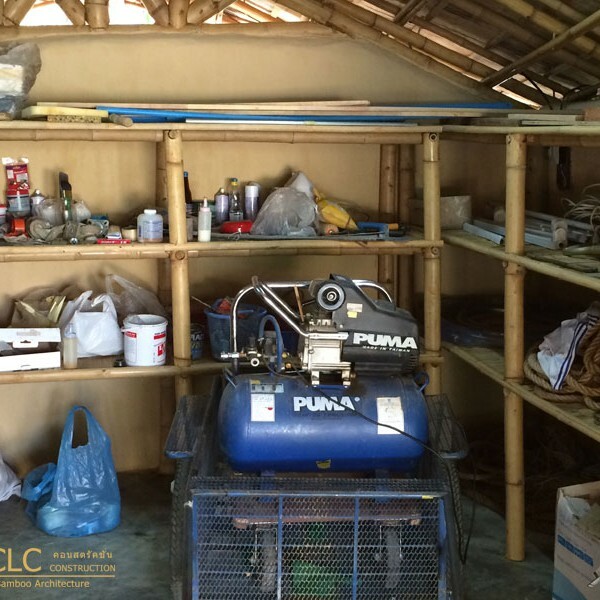 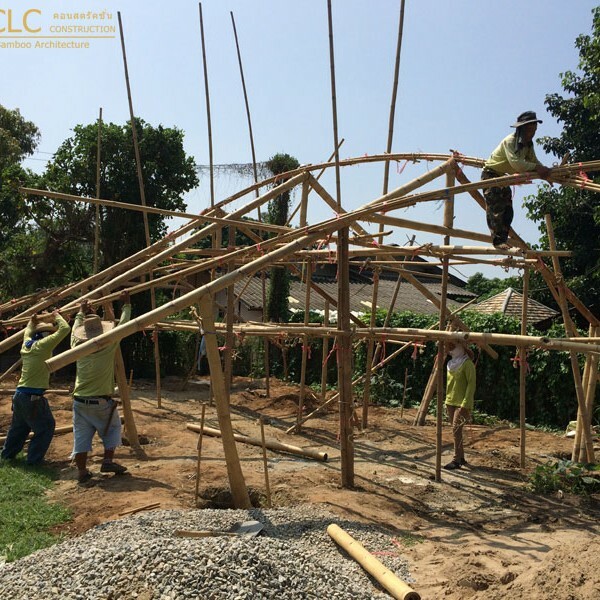 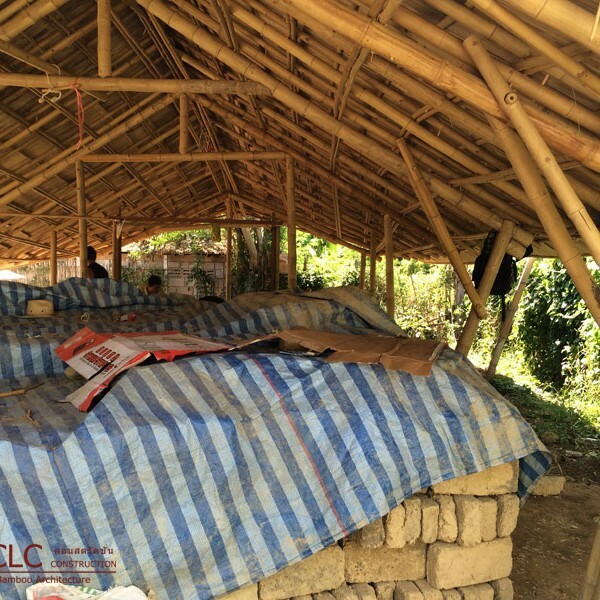 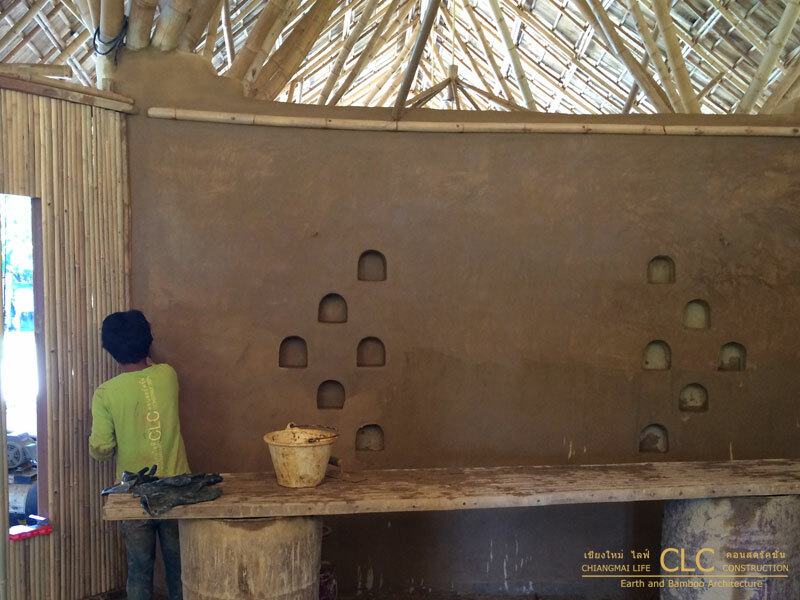 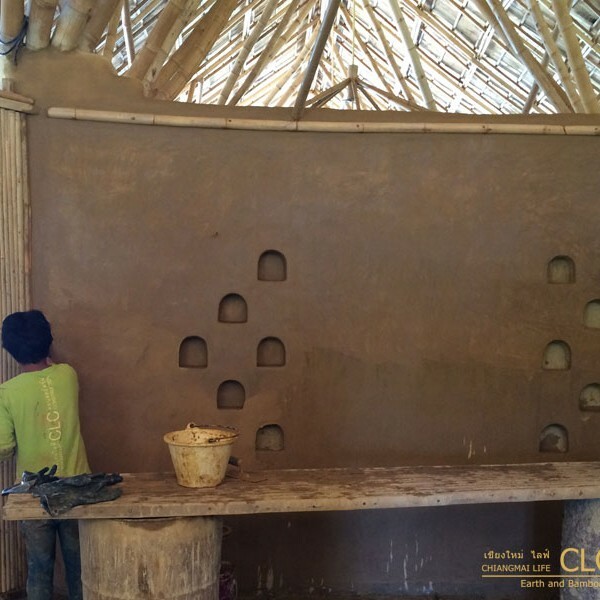 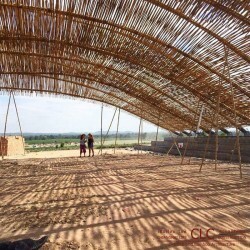 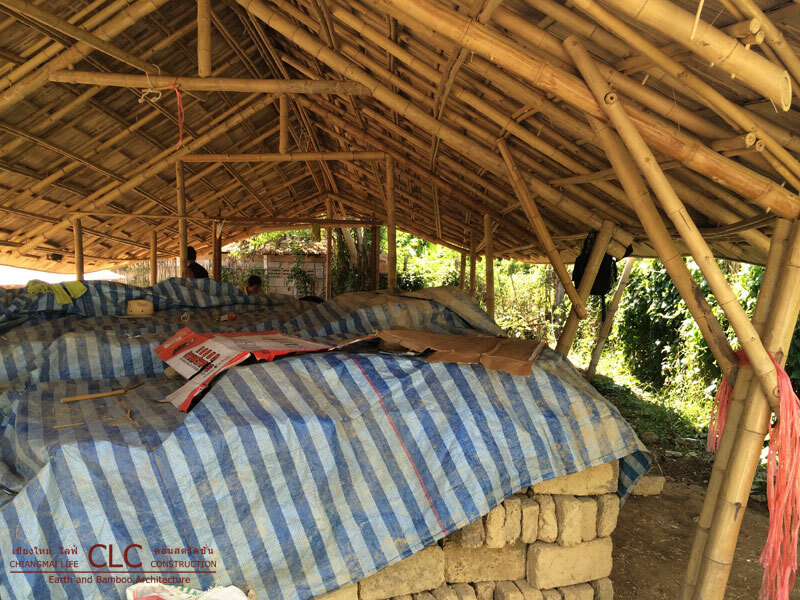 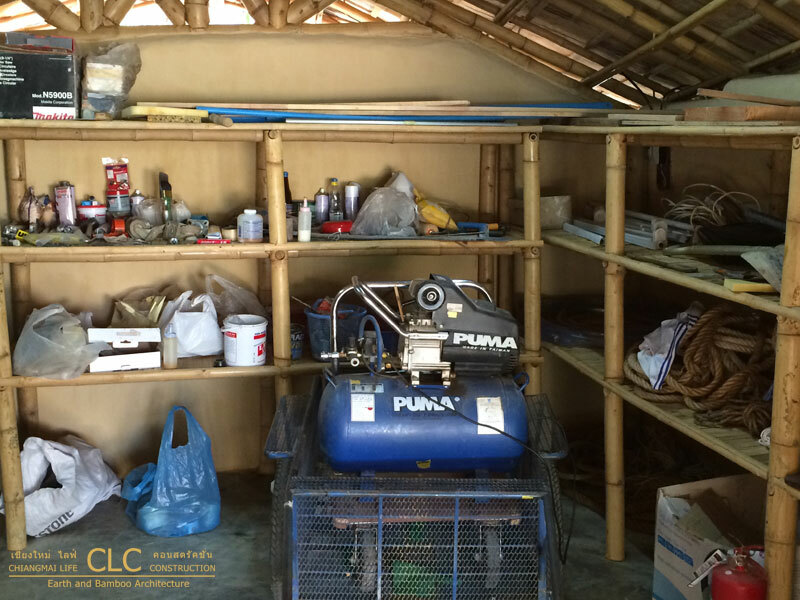 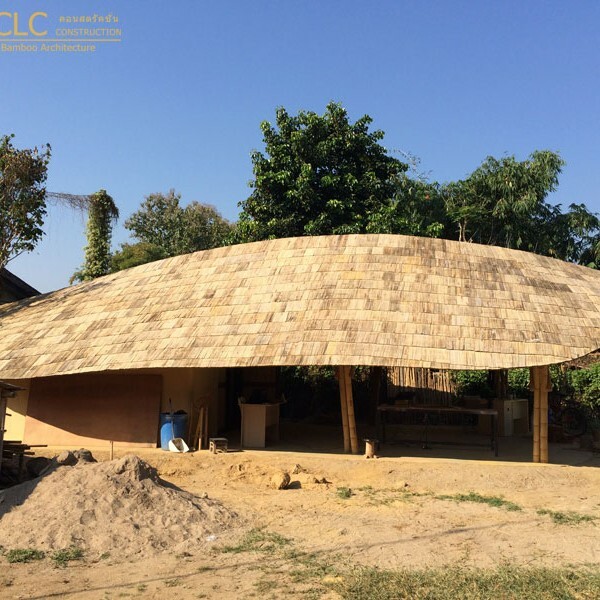 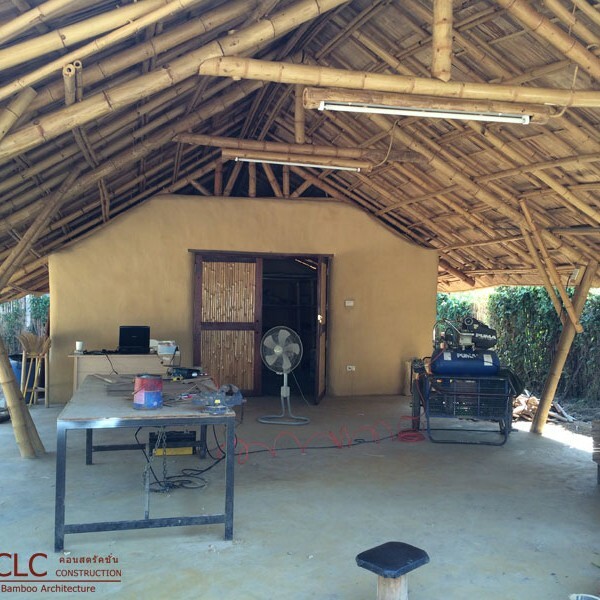 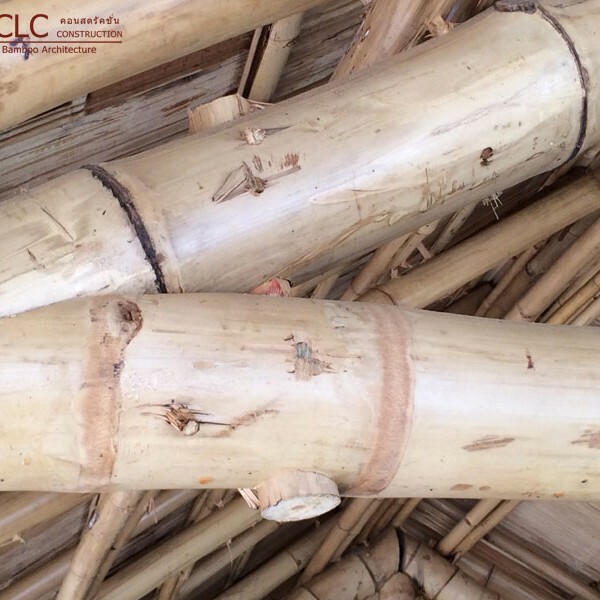 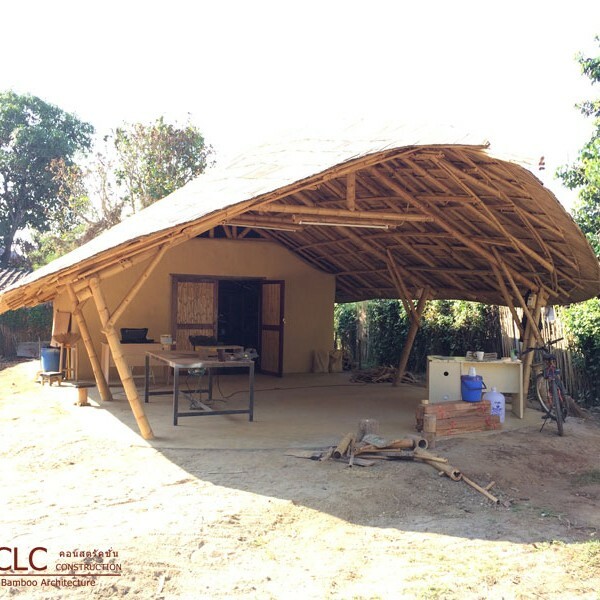 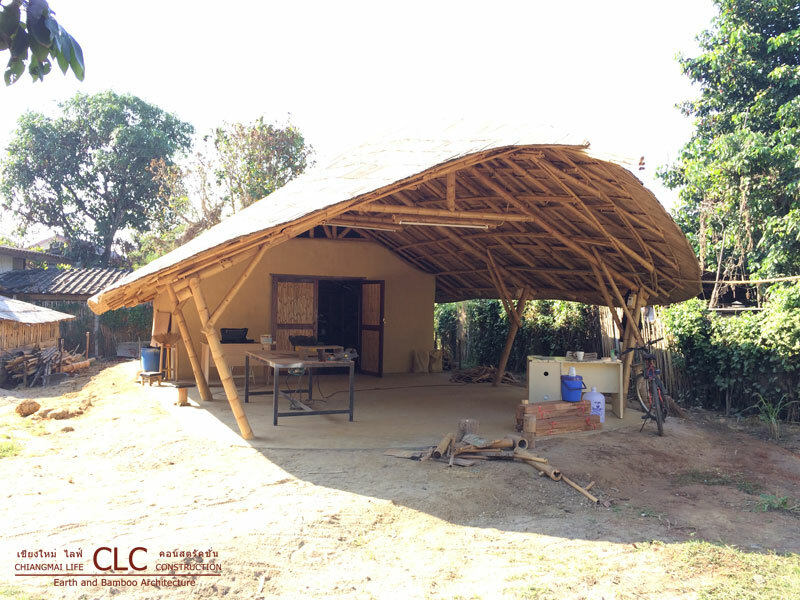 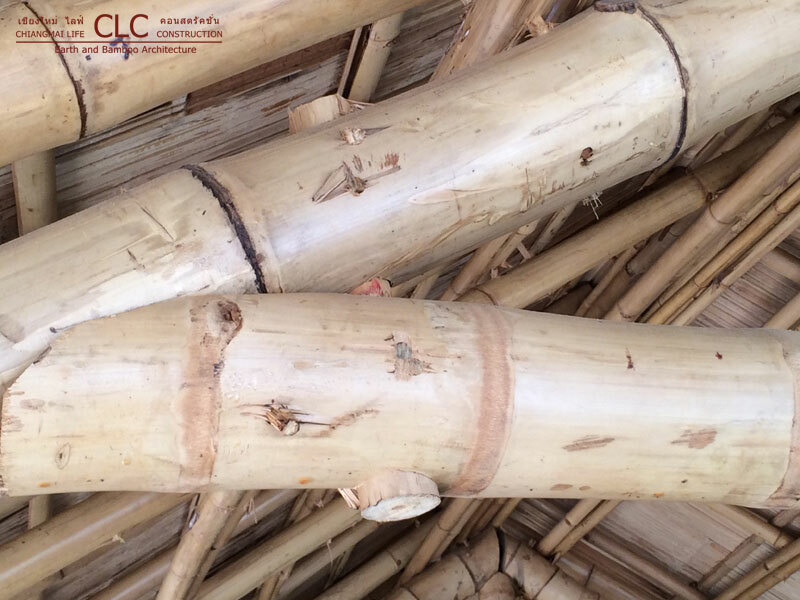 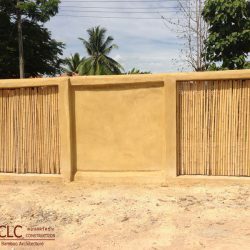 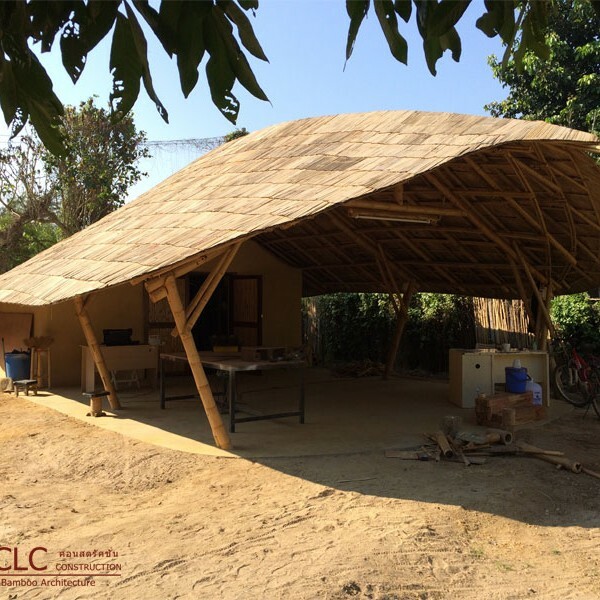 The design challenge was how to create a highly functional Panyaden School Workshop, that was simple but not boring, using bamboo and earth of course. 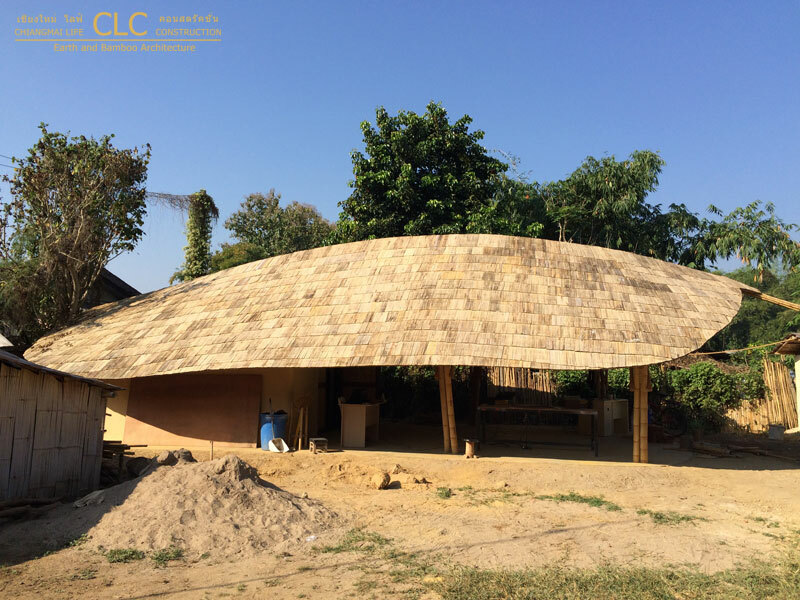 We chose a long ascending and swooping curve for the bamboo roof, similar to the design of the 1960’s sports cars, with the roof lower on the back and higher and wider in the front. 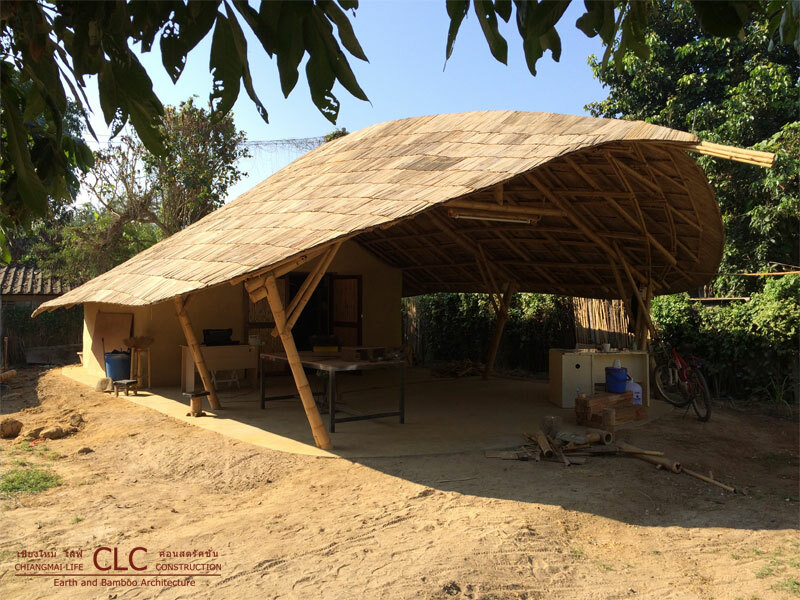 The back part of the workshop was then made into an enclosed space with Adobe bricks to keep the tools and materials safe, with a big wooden double door granting easy access when opened. 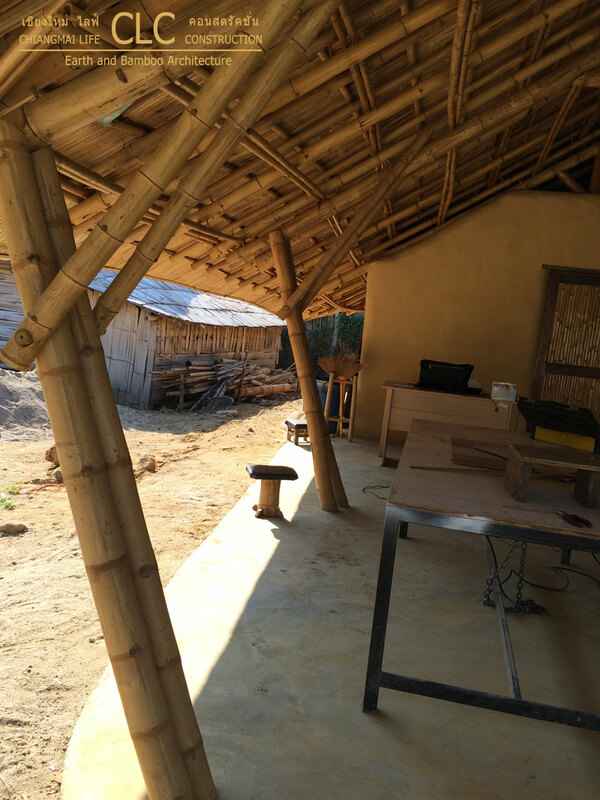 The front space of the workshop is open air with power plugs placed under the roof to prevent them from getting wet but at regular intervals to give the opportunity of multiple work stations at the same time. 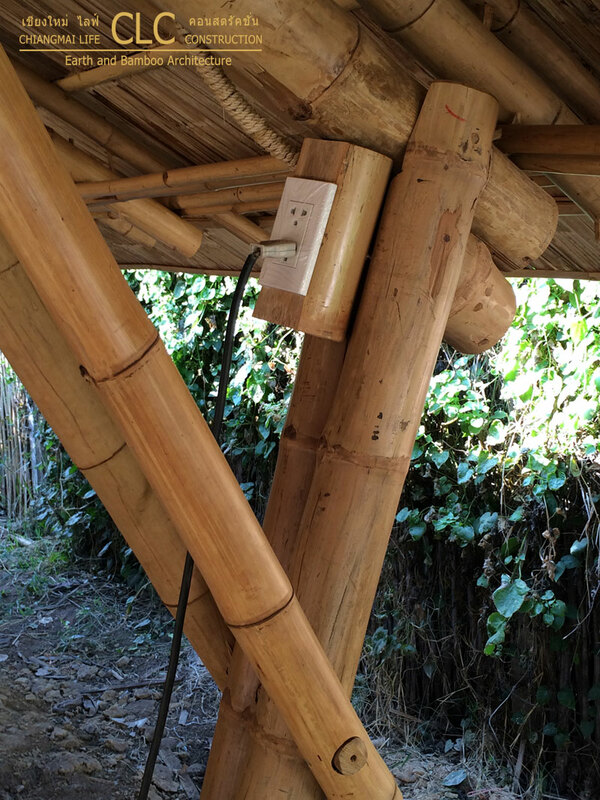 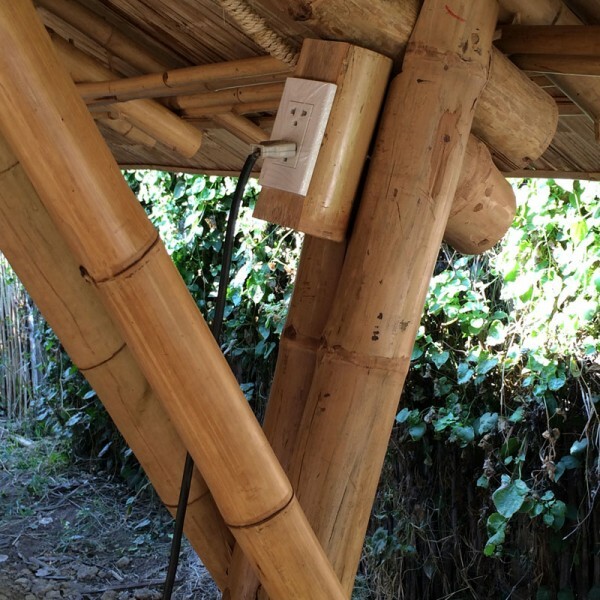 Additionally all plugs were embedded into bamboo. 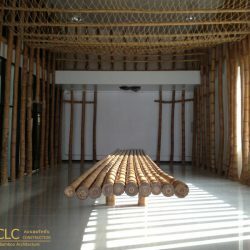 All bolts and dowels were made from bamboo as well.